Interest Rates Holding Near 1 Year Low Point: Interest rates are in a holding pattern near their lowest point since they spiked up last June. If you remember, that is the time when the Federal Reserve made the formal announcement of the ending of Quantitative Easing. QE’s purchasing of mortgage backed bonds drove interest rates down to the low 3’s but jumped up as high as 4.75% shortly after the announcement. Many predicted even higher rates but the current trend suggests rates could move even lower. The lack of real working wage job growth, concerns over stock market correction, inflation under control and a lack in supply of mortgage securities all point to stable rates or maybe even moves lower. Strong economic growth and inflation increases would quickly change that prognosis. This just in! Key news hit the wires almost every day last week, with important reports spread throughout the week. Plus, home loan rates reached some of their best levels this year. Here are the highlights you need to know about. Over in the housing sector, April Housing Starts jumped 13.2 percent from March to an annual rate of 1.07 million units. This was above expectations and the highest level since November. The unexpected surge was led by multi-family dwellings or apartments, while single-family construction barely budged. Building Permits, a sign of future construction, rose by 8 percent to 1.08 million units, with apartment buildings leading the surge here as well. The takeaway is that builders are betting on the future expansion of renters. However, it's also important to note that the price appreciation rate for homes has slowed and is expected to slow even further. Case Shiller confirmed that home prices rose 11.3 percent in 2013, but they see less than a 6 percent increase for 2014. With home loan rates near some of their best levels of the year, this is a key point to note for potential buyers and refinancers. In other news, weekly Initial Jobless Claims fell to their lowest level since May 2007, while Retail Sales for April came in below expectations. While the spring thaw has seemed to help the labor market, it wasn't a boon for retailers last month. And after months of tame reports, inflation is starting to heat up at both the consumer and wholesale levels. Remember, inflation is the arch enemy of Bonds, as inflation reduces the value of fixed investments like Bonds. This includes Mortgage Bonds, the type of Bond on which home loan rates are based. While inflation numbers are still within the Fed's comfort zone, you can bet the Fed will be watching for a trend higher. New FHFA Chief Rebuffs Shrinking Role for Fannie and Freddy. Newly installed Chairman of the FHFA, Mel Watt, pushes back against moves to dissolve Fannie and Freddy or to lessen their role in the US Housing market. It has been the mistaken belief of many that Fannie and Freddy were the main cause of the financial melt down of 2007. I believe this opinion is held by those who do not understand the history and details of what was occurring in the mortgage industry. They were certainly participants but much of their falter was due to lack of oversight by those responsible to make sure they did not abuse their government guarantees, THE US CONGRESS. Instead of an intelligent analysis of the real problems, politicians choose to divert attention by manufacturing a villain and propose that they save us with some wonderful action. So both Democrats and Republicans found their villains that they could target and thus be our heroes. One misguided proposal has been to dissolve Fannie and Freddy. Mr. Watt sees no reason to lessen the role of the GSE’s. With proper oversight there is nothing in Fannie and Freddy’s 80 year history that suggests they cannot continue to be an important part one of the biggest sectors of our economy. It does not hurt that they have repaid their bailout funds and are now a source of revenue for the government. Increased government fees built in to their pricing has made it easier for private mortgage products to compete. Mr. Watt is dramatically changing the language of the former chairman with statements this last week. "I don't think it's FHFA's role to contract the footprint of Fannie and Freddie," Mr. Watt said during a discussion at the Brookings Institution in Washington. Winding down the companies without clear proof that private investors are willing to step back in "would be irresponsible." Finally a voice of reason is speaking to realty. New Home Sales Rebound in April: After slumping the previous two months, most markets are seeing a comeback in sales as the spring season starts. Sales are still lower than the same time last year. New home sales have remained at about half of what is expected for a healthy market, according to experts. Sales were about 433k. We are seeing the affects of the destruction of the builder sector as well as their traditional sources of funding. This is also seen as a major part of the lack of recovery in the overall economy. The lack of demand is discouraging speculative building. Sales by region showed interesting trends. Sales were up dramatically in the mid-west, us slightly in the south, flat in the west and fell in the Northeast. A major change is sales above $750k showed the strongest growth while sales below $250k were down from last year. This has been suggested as an indicator of affordability. Data in our area does not suggest this to be the case but supply may be the more likely culprit. Home builder confidence remains survey show low confidence levels nationwide. April Existing Home Sales Up 1.3%: We would like to see stronger numbers here as this represents a 6.8% reduction from the same time last year. Interesting to note that most of the sales increases were condo’s with single family homes only being up .5%. Existing sales numbers suggest entry level and mid priced homes are slowing while the higher end market is growing the most. Lack of supply continues to be the main reason sighted for lower sales and discouraging demand. Sales in the west were much stronger than other regions. Most Affordable Areas Still Seeing Strong Appreciation: Most markets in the US are seeing slower appreciation rates in 2014 versus the robust averages in 2013. That is true for King and Snohomish Counties but not for some areas. The main metropolitan areas are becoming unaffordable for median income earning households. This is creating the typical move out. Those markets hit most hard are now seeing strong rebounds in housing values while others wane. King county average appreciation rates of 15% in 2013 have slowed to 11% so far this year but, some areas are at 20%. Shoreline, Maple Valley, Federal Way and Burien are some of these rapidly appreciating markets. Not all suburbs had strong growth. Kent, Renton/Benson Hill, Skyway and Enumclaw slowed below 5% appreciation. King County, overall, seems to have strong momentum. 17 out of 30 areas had stronger appreciation rates than the same period last year. Snohomish County measurables were weaker but that is blamed on lack of inventory and sales. The lower priced markets are appreciating at an average rate of 18% but are still below market peaks of years ago. Kent and Burien are still 30% below their peak levels. Not all high end areas are slowing. Redmond, Kirkland and Newcastle are still appreciating at 13-18% per year. A number of these markets have surpassed their housing boom peak prices. These include Central Seattle, Eastlake, Queen Anne and Redmond. Many are poised to surpass their peak values such as Green Lake and Ballard. Zillow chief economist, Stan Humphries, points out that appreciation rates can be skewed by the mix of low or high prices homes in current period sales. Still he says appreciation rates are low double digits in King County. He points out that affordability is not yet at boom levels but that is largely due to low interest rates. At the end of last year 38% of Seattle homes were affordable for median income earning households. It was 75% in Federal Way. The more central zip codes were even less affordable in the main metro job centers; just 3% in Seattle’s 98117 and 18% in Bellevue’s 98005. In order for area affordability to reach the peaks in 2006 interest rates would have to rise to 8%. This appears to be a long way off currently. Loan Program Of The Month. New Non-QM Program:RPM will soon be rolling out a loan program that does not follow limitations set by recent legislation. This is welcome news to self employeed borrowers or those with non-traditional income. High end buyers will benefit from less demand on documentation. Details to be released soon. Hood Canal Real Estate – Showers Are In, Bath’s are Out! The shower gets more use than the bathtub in many households. That’s why some homeowners are ripping out their tubs completely, creating bigger showers instead. Extra shower space allows for multiple shower heads, a built-in seat and designs without shower doors, said John Petrie, president of the National Kitchen and Bath Association, in an email interview about current kitchen and bath trends. They can be designed without a threshold — which look more contemporary and are easier for people to use as they get older. “People really like the bigger showers. They like that there’s elbow room,” said Susie Johnson, a real-estate agent with Coldwell Banker Gundaker in St. Louis. Meanwhile, comments she hears from prospective buyers about whirlpool tubs when walking through a property are often along the lines of: “That’s a nice tub but I don’t take baths,” she said. 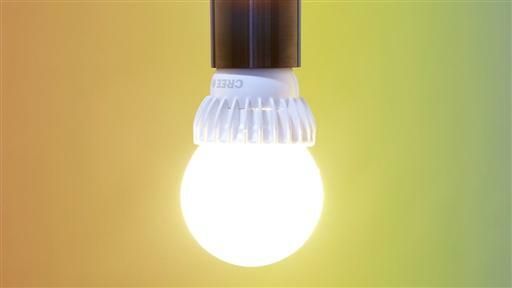 Energy-efficient LED light bulbs have gotten brighter and warmer since the early days of this technology. The best bulbs, although pricey, make colors pop in a way that incandescents can’t. Now, keep in mind that a home should still have at least one bathtub, Johnson added. Having a tub will be important at resale for some buyers, particularly those with small children. For high-end homes, buyers expect a shower and a separate bathtub, especially in the master bath, she said. Waterfront Property for Sale – 13380 North Shore Road – Hood Canal Waterfront Real Estate. Just in time for Memorial Day weekend, your waterfront retreat awaits! Wow!!! Wonderful Beach Home across from Alderbrook Resort with 100' dock and 30' float! 2 BR, 1 Bath daylight basement home with additional guest room above detached garage, and additional building site further up the lot, with outstanding views. Boat house has power winch and is ready for your watercraft. Detached garage has plenty of room for all your associated water toys. Huge deck, and covered sitting area look over the Canal. 50' of waterfront, with 100' tidelands, included in the sale.